In 2014, we saw the release of the Motorola E, a budget aka entry level phone that had the bare minimum specs for a touch screen candy bar phone and offered at 6,999 INR, sold exclusively on Flipkart. This was a huge hit as a good quality phone running on stock Android and assured 2 years worth of updates was the deal that came with it. Not just budget conscious users but many like us who wanted a decent back-up / secondary phone had a good, trusted choice in the form of Moto E. A year passes by and today Motorola has launched the 2nd generation or the 2015 version of the highly successful Moto E. Similar to the Moto G, the naming convention would be simply Moto E (2015). The price of the new version would be 6,999 INR which is infact a good deal for a phone with bumped up specs. 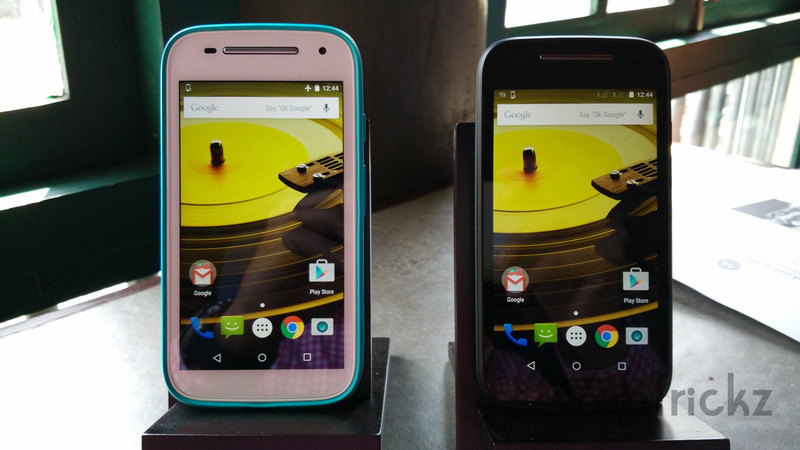 The new Moto E is offered in two variants – with and without 4G. The all new Moto E is stated to deliver 20% more battery life than its predecessor. The phone comes with changeable color bands and Motorola has introduced these bands in a pack of 3 for Rs. 999 whereas the Motorola grip shell for Moto E costs Rs. 999. The band colors included in each pack are listed on motorola.in. The main difference with the 4G variant would be the processor in the form of 1.2 GHz Cortex-A53 Quad-core Snapdragon 410 and of course the pricing. This is indeed competitive pricing considering the bump in specs. However at the same price the Lenovo A6000 is being sold which has better specs and is also doing very well since its launch getting sold out in seconds. But at the moment there is no information about the 4G variant or its price in India. So buyers may be in some kinda fix here but if one is leaning towards the highly trusted Motorola brand, vanilla Android experience and 2 years of guaranteed updates then the new Moto E may be a good choice. The competition is going to be really high here especially with the speculated release of the Redmi 2 in the next few days! 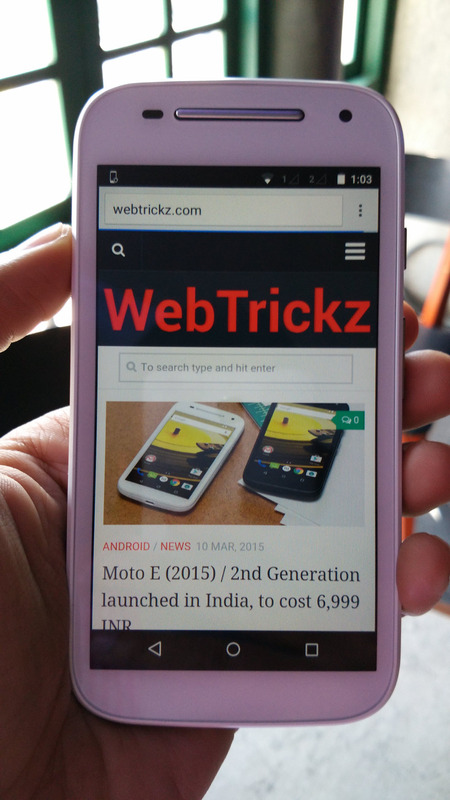 Redmi 2 vs Moto E 2nd Gen vs Lenovo A6000 – The entry level battle!